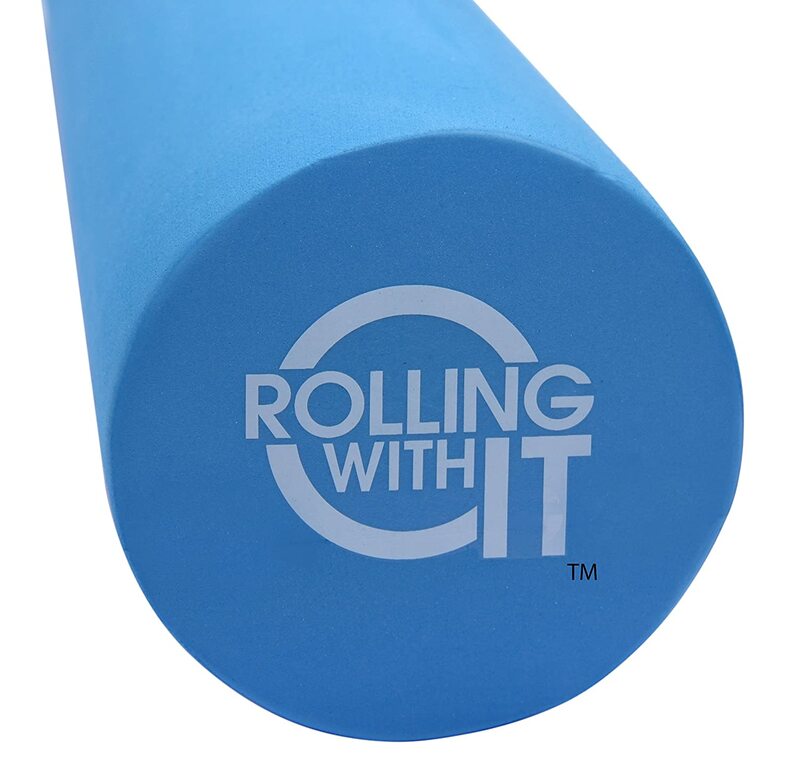 So the question is "When should you foam roll" and the answer is all the time! Foam rolling really can not hurt you. Stretching out your muscles can help with a variety of things, including reducing spinal and neck pain! Foam rolling before bed is great too because it loosens your muscles before bed so that you become more relaxed for when sleep. Using a foam roller before AND after a work out can work wonders for your body. This will allow the lactic acid in your muscles to be released making it less likely you will be sore, and being sore is not fun! There are many stretches you can do with a single foam roll. The best way to use it is to simply roll your major muscles out. Start with rolling out the calves, then move up to the quadriceps and hamstrings, then finally to the muscles of upper and middle back. By using a foam roller in this order, you will release tension from your hip bones to your neck. One great stretch you can do while using a foam roller is lie down parallel (on top) of the foam roller, on your back, and attempt to touch the back of your hands and your elbows to the ground. You should feel the stretch in the pectoral muscle releasing tension around the sternum. There are many foam rollers you could buy; however, not all foam rollers are great! Believe it or not, some foam rollers get worn out pretty quickly, causing you to spend money over and over again in order to buy new ones. One Foam Roller I found worked really well is being sold on Amazon. This foam roller is a must have, I have been using it for almost a year now and there is still no pressure dent in the middle! It is almost like new. Not to mention it helped relieve pain in my upper and middle back muscles. Click HERE to check out what I use today! Finally, we talked about when you should foam roll, how to foam roll, and finally, what the best type of foam roller out there is. Now it is your turn to invest a small amount of money and start relieving the tension today! Also, be sure to check out other blogs, as they all offer great content for relieving back pain today.